City of Miami officials are planning for higher security at this year's Miami Heat victory parade. The Miami Heat will celebrate its thrilling championship with a victory parade Monday in downtown Miami where hysteria will be high and security will be tight. "Safety comes first, and of course Heat fans come second, but you have to make that a priority right now," parade-goer Glen Starr said. The biggest change in this year's parade plan? City officials will not allow fans to carry backpacks in light of the Boston Marathon bombings. "It shows that they're concerned about our safety, so I think that's a great idea," said Shari Aguila, another fan who plans on going. Some say they good about the new safety measure. "I know they have a lot of police here and security so I'm feeling safe," fan Needa Ferron said. Last year's parade drew an estimated 400 thousand people and this year's celebration is bound to be bigger. The parade will start in Brickell at Southwest 8th street and 2nd Avenue, cross the Miami River and end at the AmericanAirlines Arena. 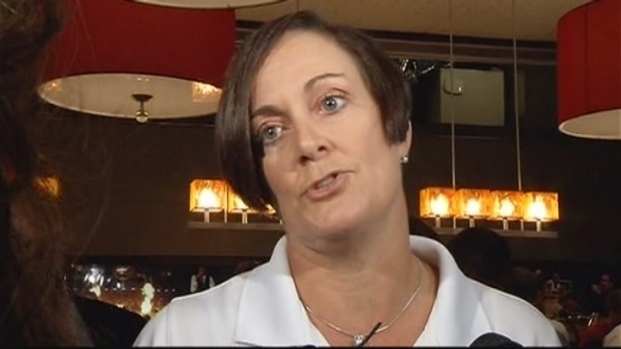 "I will be excited to see Dwyane Wade and all the other players," Ferron said. Miami Fire Rescue officials said the parade plan is built on last year's well-run event. 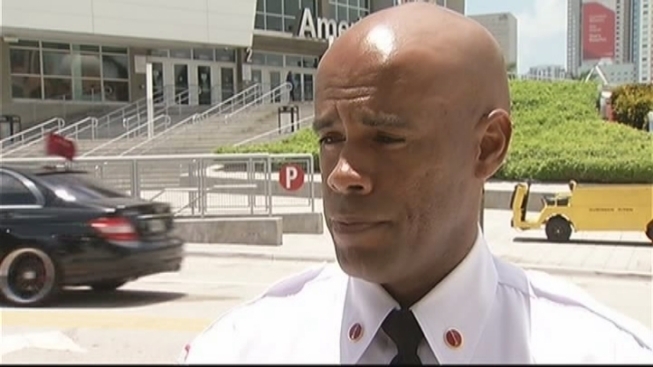 "We've enhanced our response capabilities now by adding additional resources to respond to people that may be having medical conditions, but also situations that require additional resources," Miami Fire spokesman Iggy Carroll said. "Hazardous materials teams will be standing by." Conditions Monday will be hot and humid, so police are asking fans to arrive early, and bring lots of water and sunscreen. And while the focus will be on the champs, it's important not to lose sight of your surroundings. "Don't be separated from your family because you could get lost," fan Joseph Dominguez said. Once the parade is over, the Heat will have a special ceremony inside the arena and it won't be shown on the big screen outside. "Only ticket holders will be allowed inside the arena," Miami Police spokeswoman Kenia Reyes said. "There will not be any festivities outside and it's time for everyone to remember to return to work and go home."